Chris is known for his can-do attitude and willingness to work hard (though you’ll never hear it from him). He loves the challenge of big, complicated projects, both at work and at home. Chris’ family comes from Perth so he’s one of the true locals in our Australian team. In high school he got hooked on computers and programming, and hasn’t looked back. 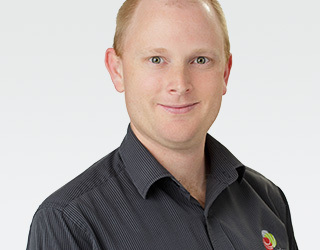 At Minemax, his role is to lead our software development team to create innovative solutions. He finds it very rewarding to be able to develop software that enables mining engineers to do their jobs more efficiently and effectively. You’ll find Chris on the bike path riding to and from work in any weather. He also loves watching sport on TV, in particularly footy. The weekends are for hanging out with his wife and kids, or working on yet another round of home improvements.